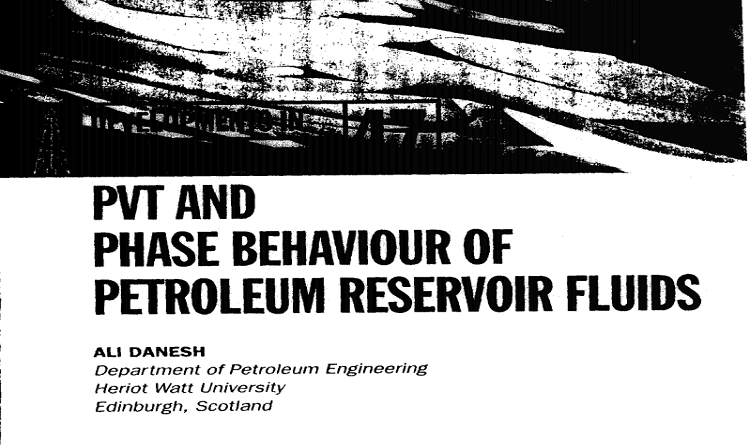 PVT and Phase Behaviour Of Petroleum Reservoir Fluids is a textbook written by Ali Danesh which discusses in detail about the PVT analysis and phase behavior which the fluids in the reservoir experience. To get the book, click the PVT and Phase Behaviour Of Petroleum Reservoir Fluids pdf download button in the end. Chapter 1: Phase Behavior Fundamentals. Chapter 2: PVT Tests and Correlations. Chapter 4: Equation of State. Chapter 5: Phase Behavior Calculations. Chapter 9: Application in Reservoir Simulation.